This topic contains advice on lam-rim topics, including refuge, karma, and guru devotion. There is also general advice on training the mind in lam-rim study and practice. 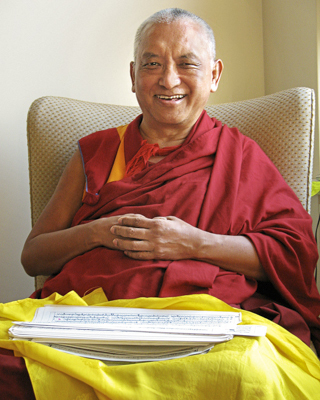 Rinpoche offers extensive advice on how to practice guru devotion, including seeing the guru as Buddha, offering service and pleasing the guru. Rinpoche also advises on confession and purification of negative karma in relation to the guru. Advices in this topic are related to the lam-rim outline, such as the one in Pabongka Rinpoche's Liberation in the Palm of Your Hand.